Confession time. I absolutely adore lentils. I love them. Not only are they ridiculously good for you, but they are super easy to make. You know those foods that bring back memories? Happier times of childhood? Lentils are one of those foods for me. I have fond memories of giant pots simmering on the stove and sitting down after a long day of school, practice and farm work to a piping hot bowl of lentil soup. 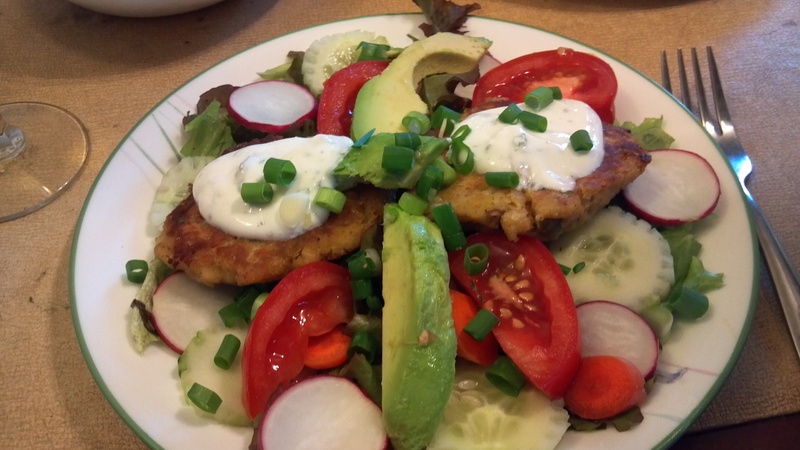 My mom was a traditionalist, she kept the recipe simple but it was always delicious. As I got older, I found out that there was a whole world of possibilities when it came to lentils. I remember my time in Spain, one of my favorite meals was a lentil stew with chorizo and garlic. During my time in DC, I used that meal as my inspiration for cooking lentils. I also explored Indian, Latin and Moroccan recipes. I loved it all. 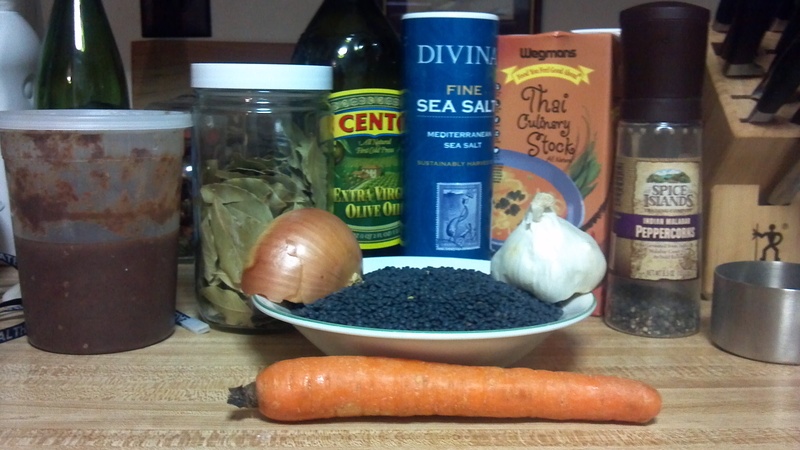 Luckily, my husband appreciates lentils as much as I do… and he loves getting creative with them. These days, I typically stick to a one-pot method, similar to my mother’s but with my own twist. A friend of mine has begged me to divulge the recipe, so, as a gift to you, here it is. I have to say, I am a bit embarrassed because it is stupidly easy. Hopefully, you’ll enjoy it as much as I do. 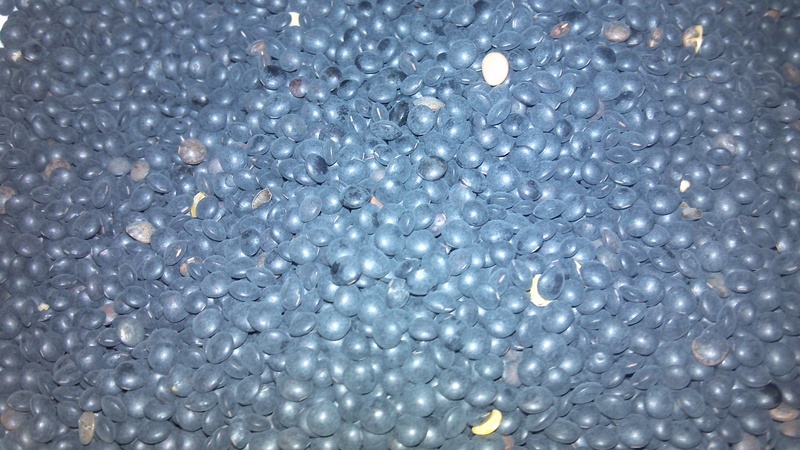 Rinse and drain lentils (a lot of times there are small stones/dirt that get in the package, just pick them out). Dice onions, garlic and carrot. 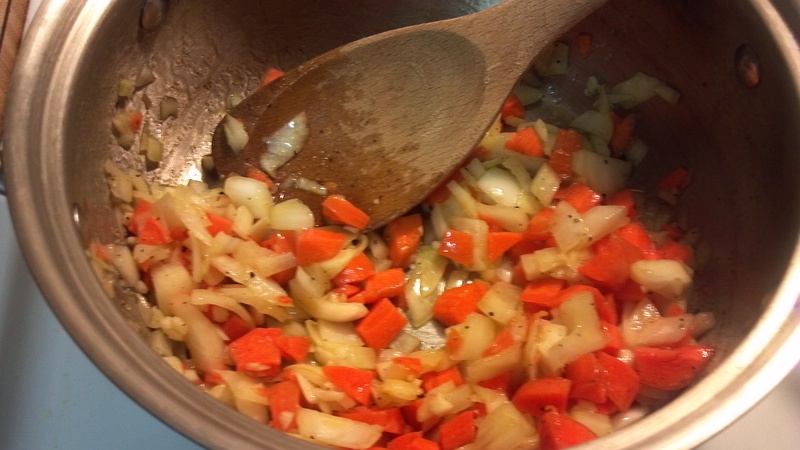 Add onions, garlic and carrot. Cook until onions feel soft and are slightly translucent, stirring occasionally. 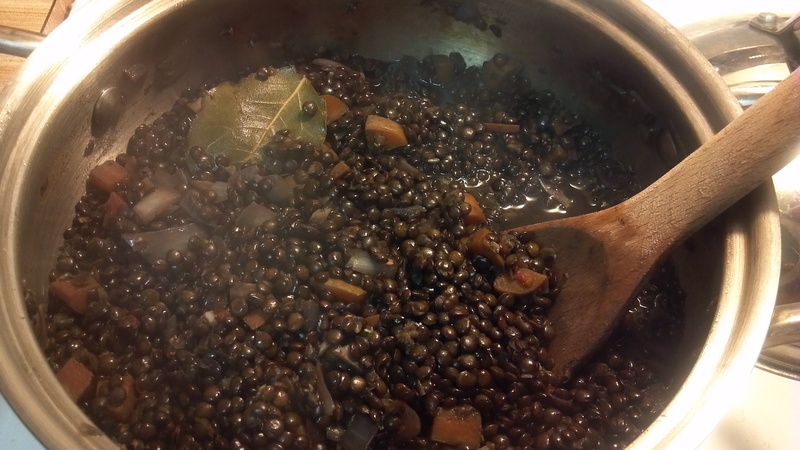 Stir in the lentils, Thai stock and the bay leaf, bring to a rolling boil, reduce heat (medium-low will do). Cover and let simmer for about 30 minutes, stirring occasionally. I get very impatient, so I stir often and uncover a lot. Try to resist the urge-it saves a lot of time. Add in your chili sauce after about 20 minutes. Stir it in and re-cover. Lentils are done when they feel tender and most of the liquid is gone. Serve hot with a sprinkle of parmesan or with a fried egg and avocado slices (this is my favorite way), also pairs well with rice or your favorite sausage if you’d like something more hearty.